Before Anna Wintour, there was Diana Vreeland, a distinguished fashion magazine editor, known for discovering "talents" and changing the course of fashion, as well as introducing different forms of beauty, first started at Harper's Bazaar, where her tenure ended up lasting for about 25 years, from 1937-1962. Passed off for promotions year after year, she finally left Harper's and ended up at Vogue in 1963. She became the editor-in-chief of Vogue for eight years—whereafter she became a consultant to the Costume Institute of the Metropolitan Museum of Art. The Eye Has To Travel is a documentary of Vreeland's experiences, career, and influences. Some of Vreeland's most influential times, were in the 60s, during a very powerful social revolution, particularly for women. Do have a watch at the compelling trailer (featured above). 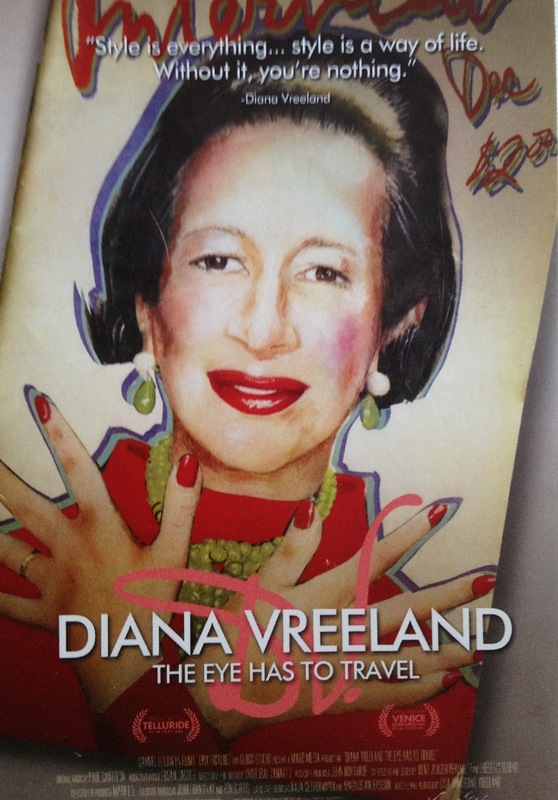 Diana Vreeland, The Eye Has To Travel launched in September 2012, but can be seen in New York at the Athena Film Festival on February 9th, 2013. To purchase tickets, go HERE. For screenings outside of New York and for more information on the film, go HERE.